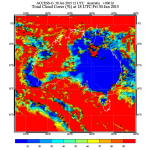 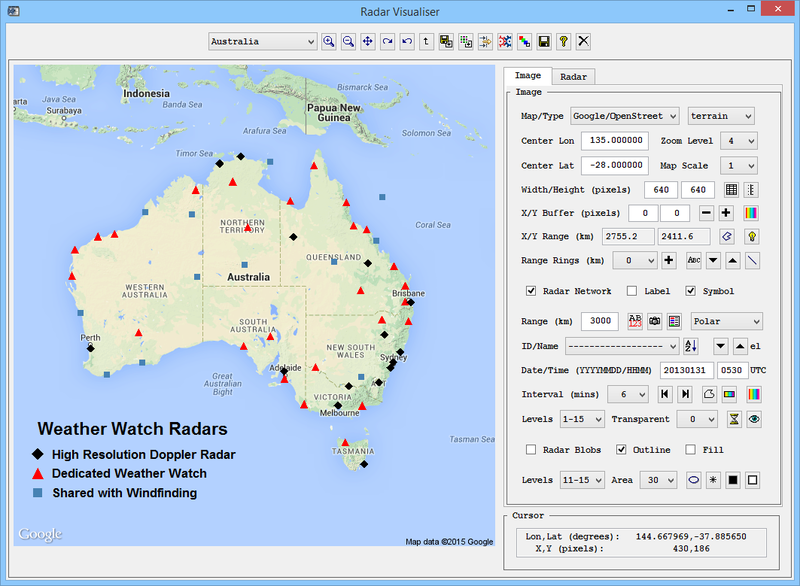 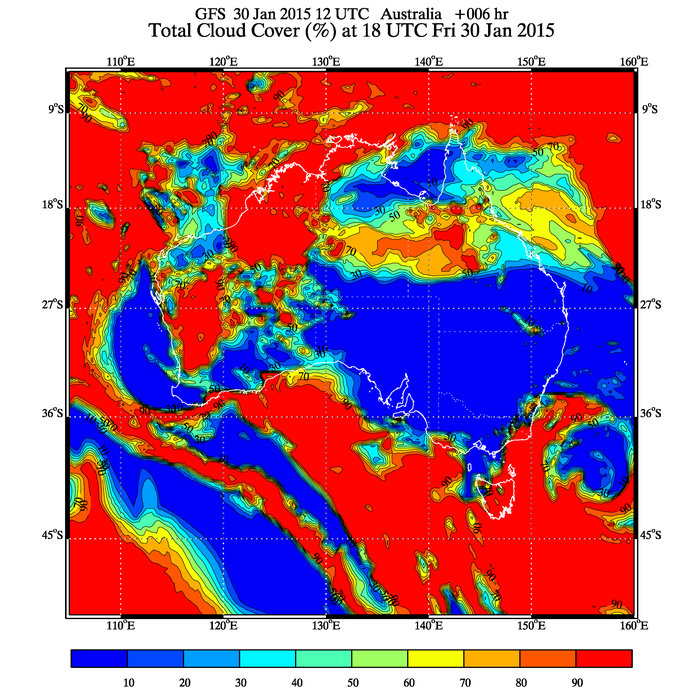 Gallery presents examples of work carried out over recent years, highlighting the capabilities of IDL® programming, and the skills and experience of a retired meteorologist who has worked in the Australian Bureau of Meteorology for over 30 years. 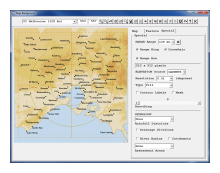 From weather forecasting, IT support in research and operations to software development for domestic and international projects, he has developed skills in the analysis and visualisation of meteorological data, the accessibility of the Bureau's data and products into clients Geographic Information System (GIS), and the mapping of weather information. 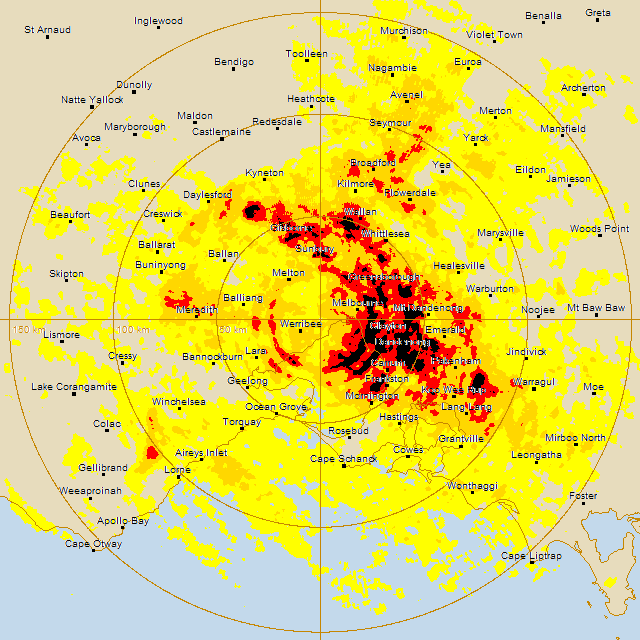 The storm climatology image for Melbourne was produced from an analysis of 6-minute radar images created from historical Bureau of Meteorology polar radar data sets over the period 2008-2013 (excluding some noisy data days). 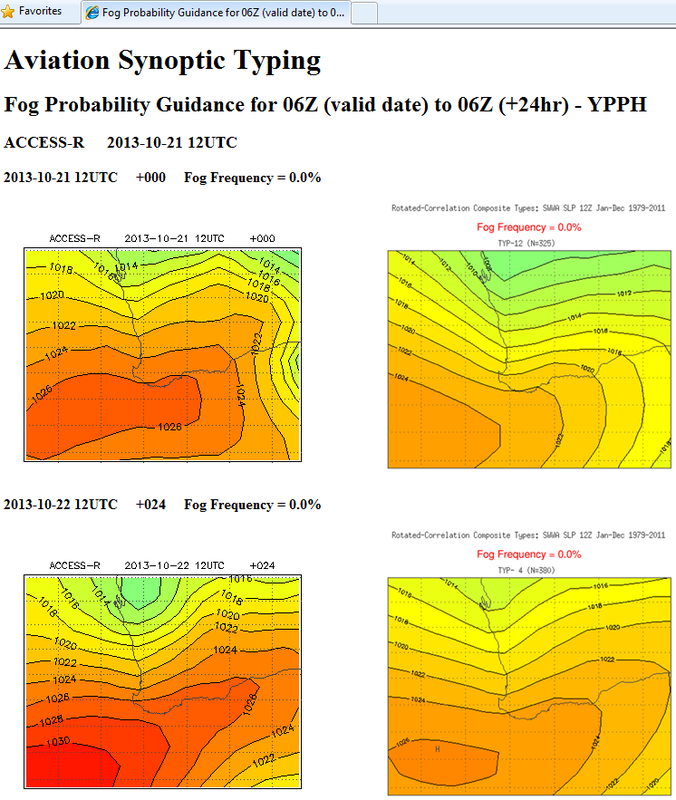 Using David Fanning's Blob Analyzer (www.idlcoyote.com), storms were identified with a threshold radar level (i.e. 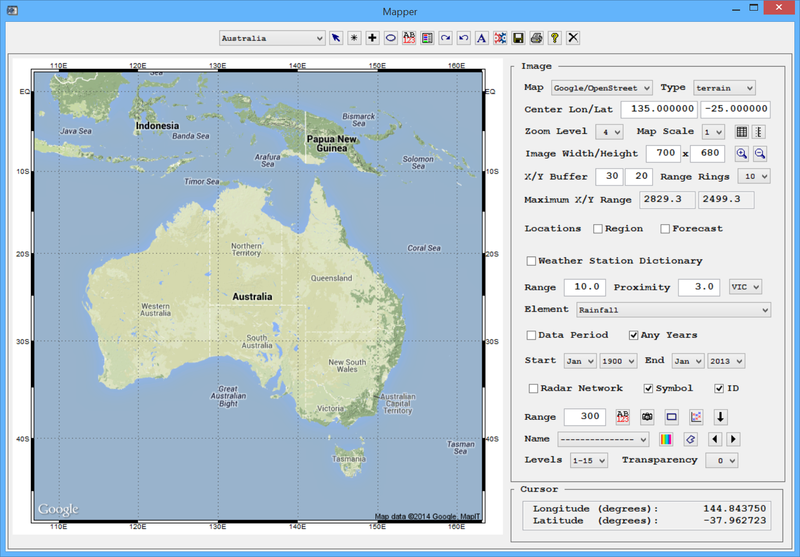 10) and perimeter area (i.e. 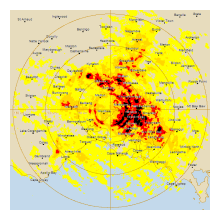 50 pixels) in radar images of approximately 150 km range (about 500 meters/pixel). 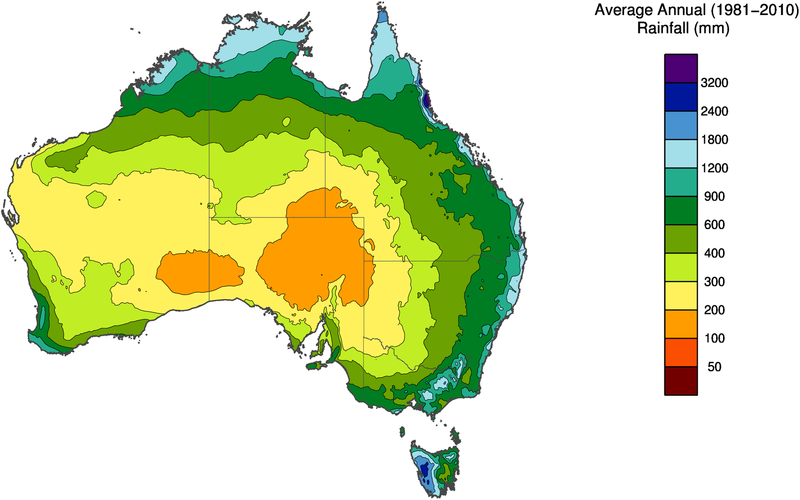 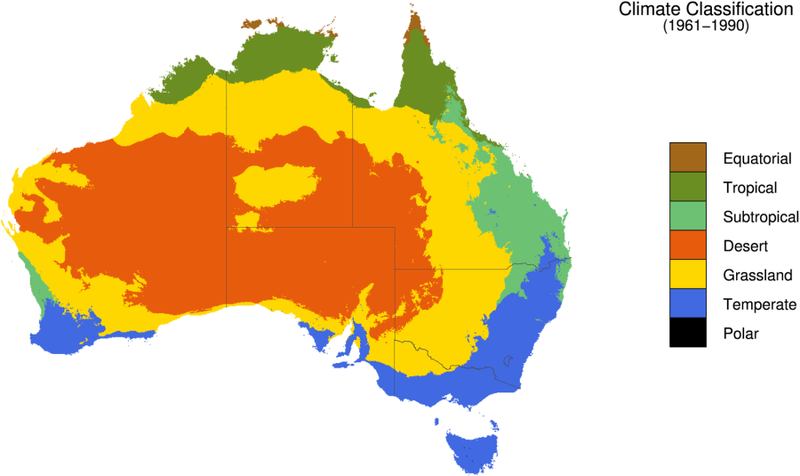 The storm climatology has been displayed on a basic map background using the Google (Mercator) map projection with centre longitude=144.7554, centre latitude=-37.8553, zoom level=8, map scale=1, width=640 and height=640; overlayed with coastline, location names, crosshair and 50, 100 and 150 km range rings. The areas of higher frequency of storms are indicated by the yellow-red-black colors. 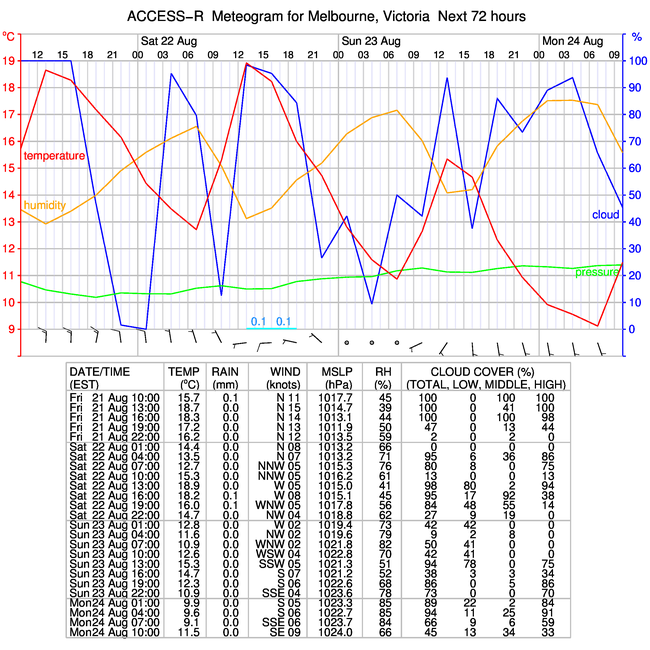 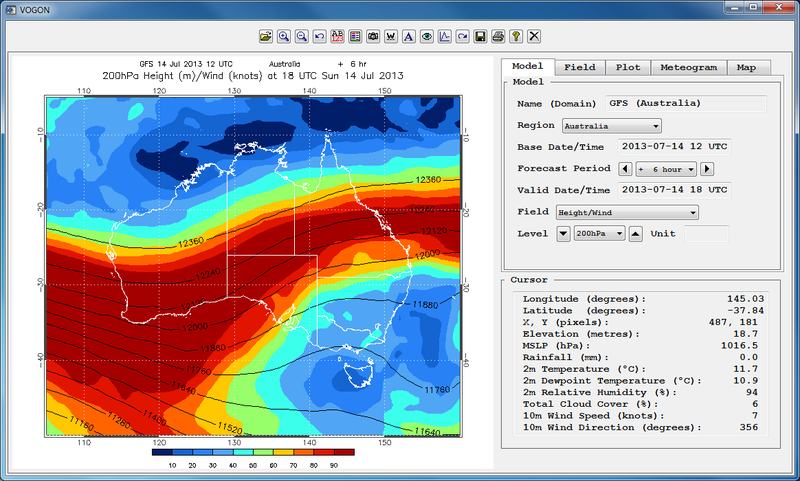 Meteogram (version 1.0 September 2015) is an application used to generate forecast (graph and/or table) meteograms (time series of pressure, temperature, humidity, rainfall, cloud, wind, etc) for specific locations from local netCDF grid files of data downloaded (using the NWP application) from the National Center for Environmental Prediction (NCEP) Global operational Forecast System (GFS) high resolution (0.25 degree) data available at http://nomads.ncep.noaa.gov/ and the Bureau of Meteorology's (Australian Community Climate and Earth-System Simulator) ACCESS NWP Data. 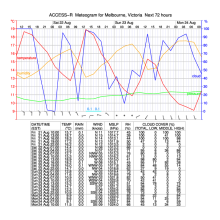 The Meteogram application is written entirely in IDL® and can also generate image files automatically. 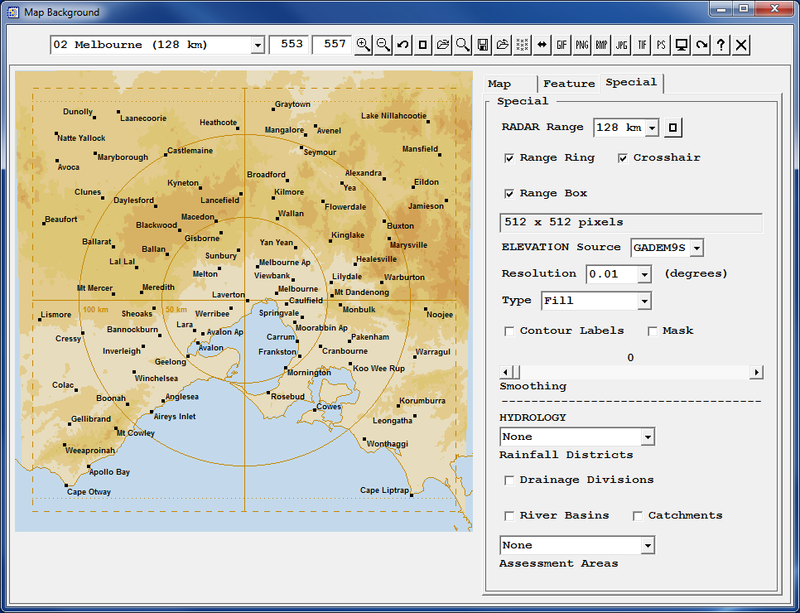 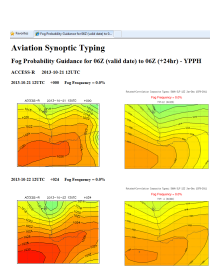 STYPER is an application to generate fog probability guidance from the synoptic typing of National Center for Environmental Prediction (NCEP) Global operational Forecast System (GFS) high resolution (0.5 degree) data available at http://nomads.ncep.noaa.gov/, and the Bureau of Meteorology's (Australian Community Climate and Earth-System Simulator) ACCESS NWP Data (downloaded using wget and OpenDAP). 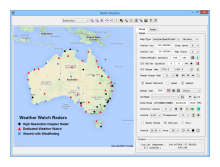 STYPER is written entirely in IDL® and can also generate CSV and HTML data files automatically. 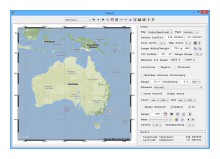 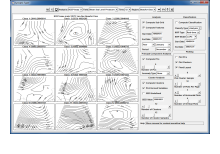 Synoptic Typer Tools, an international synoptic typing system, is an extension of Synoptic Typer and uses Principal Component and K-means Cluster Analysis to classify MSLP and geopotential height data from the NCEP/NCAR and ERA-Interim Reanalysis data sets. 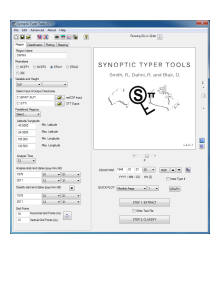 Synoptic Typer is an interactive desktop application designed to perform automated objective synoptic typing using a pattern recognition scheme. 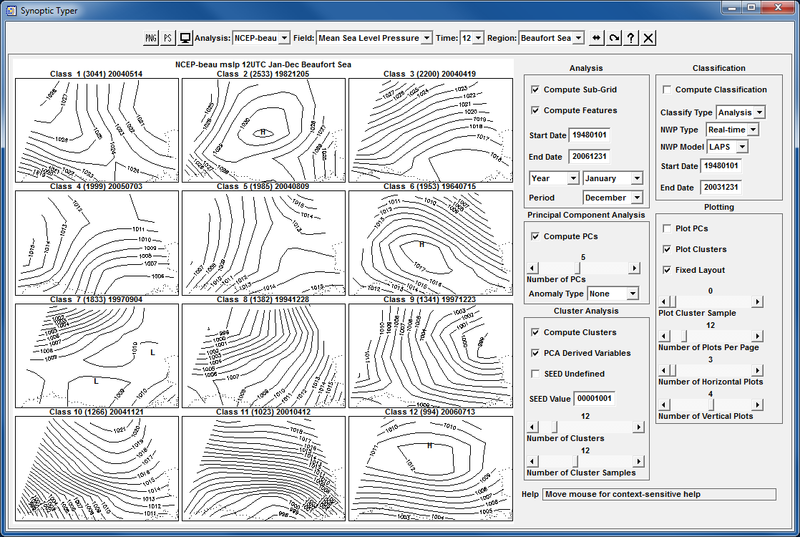 A history of grid point analyses is used to develop the synoptic types. 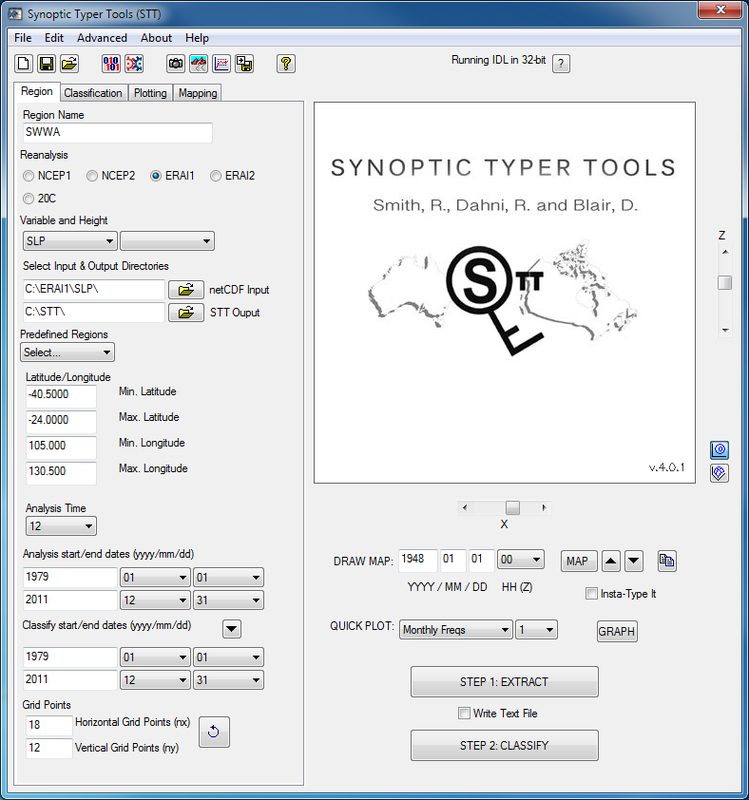 Synoptic Typer is written entirely in IDL®.